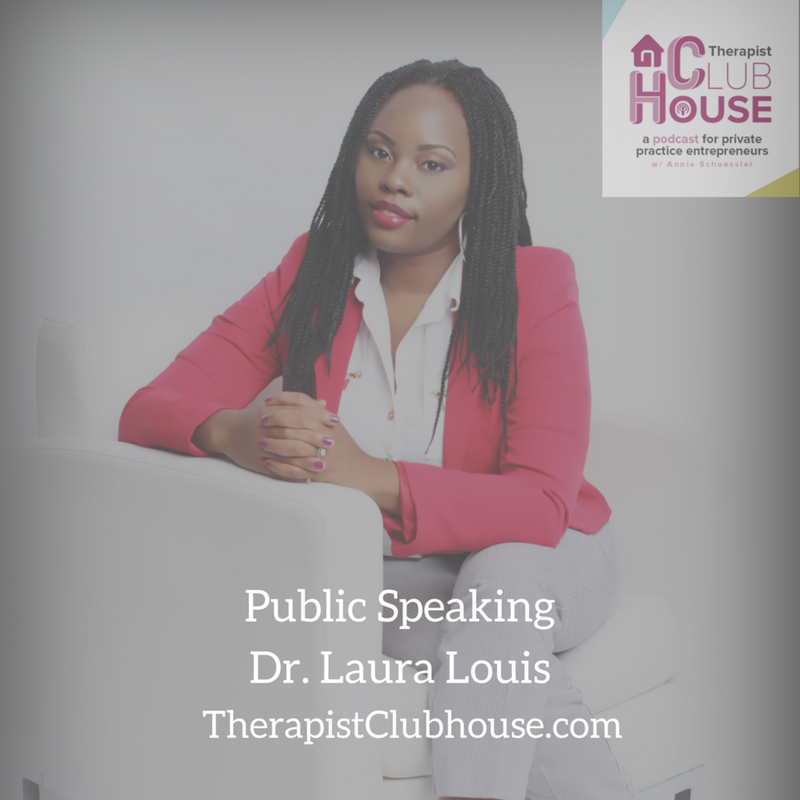 Dr. Laura Louis has a successful business as a therapist, consultant, and public speaker. I discovered a few unexpected things during this conversation: 1. She’s an introvert. 2. Public speaking didn’t come easily to her at first. 3. She still gets nervous before she gives a talk. Listen as she shares some of the mindset work it took to get to where she is now, and lots of nitty-gritty tips about how to get started with speaking and how to up your game if you’re already speaking.